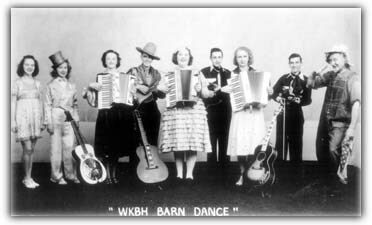 Radio station WKBH out of LaCrosse, Wisconsin was licensed in August of 1926, less than a year after WSM aired its first Barn Dance program in 1925. We have no other information about this show or who was on its cast. If you have any information you can share with us such as news or magazine articles, books, song folios, photos, etc., send it along! Undated photo from Hillbilly-Music.com archives.